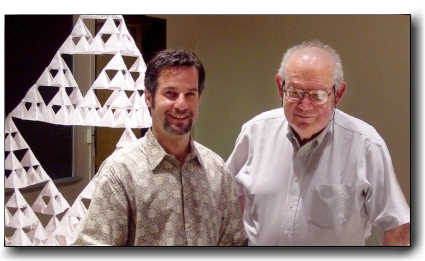 During an informal discussion in 2003 regarding the general lack of understanding associated with the concept of fractal music, Benoit Mandelbrot suggested to Harlan Brothers that he undertake a rigorous mathematical treatment of the subject. Using the tools of fractal geometry, Fractal Music Workshops offer teachers and students alike the opportunity to explore many of the intimate connections between mathematics and music. Focused presentations and hands-on exercises promote understanding in an intuitive and entertaining manner. 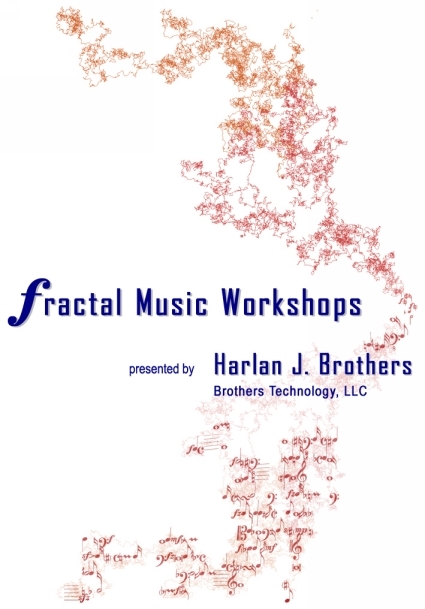 To learn about how your mathematics or music department can benefit from a Fractal Music Workshop, please follow this link: Fractal Music Workshops. Harlan Brothers and Benoit Mandelbrot at Yale Univsersity.